Lend your Christmas table a sophisticated sheen with these sets of round shiny red placemats. 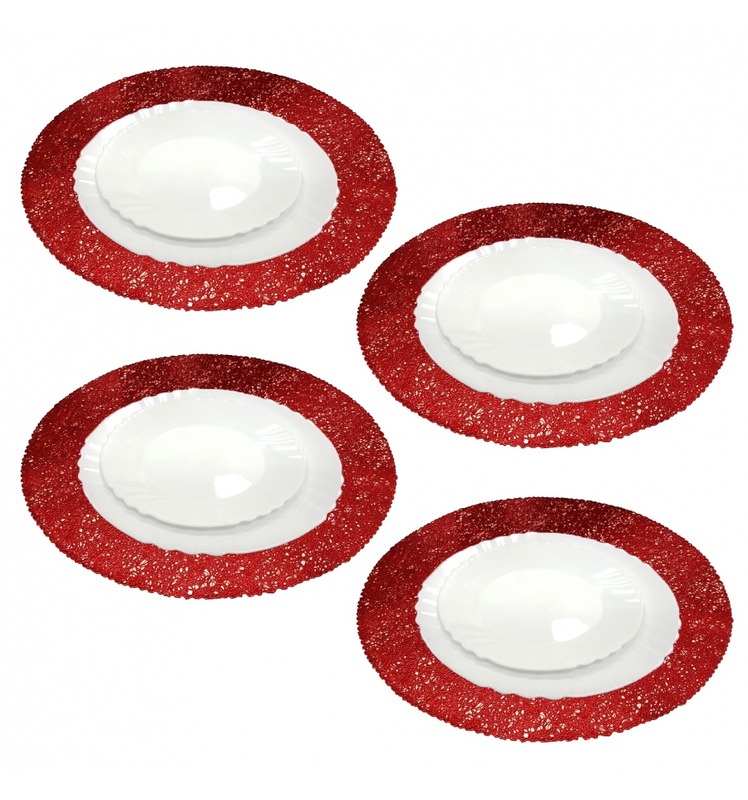 Lend your Christmas table a sophisticated sheen with these sets of round shiny red placemats. Made from coated silicone, these placemats make a beautiful addition to any dining scene.